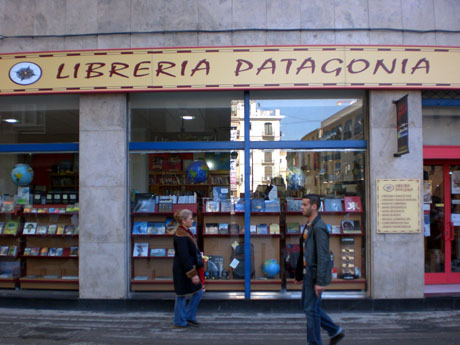 In Valencia, Libreria Patagonia is the only bookstore you’ll ever need for maps, travel guides or hiking supplies. I stumbled upon this wonderful shop last week, and nearly dropped a hundred euros. Trembling, I forced myself to set down the stack of maps and books I had gathered, and left empty-handed. The shelves are full of books about Valencia and the surrounding area. 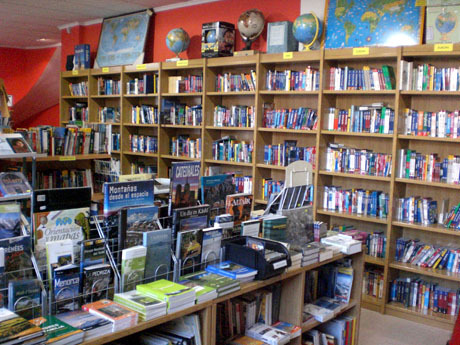 There’s an entire section just for books on the Pyrenees. And the whole back wall is stacked with travel guides. The shop is found in the city center, at Calle Hospital, 1 (location) Their website exists, but is still under construction. Juergen and I caught the hiking bug during our time in Ireland, so I have a feeling we’ll be frequent patrons of Libreria Patagonia.